The latest insurance scandal is brewing, as the Consumer Action Law Centre launches the Stop Selling Junk campaign and DemandARefund.com – a tool to help Australians demand refunds for junk add-on insurance and warranties. The products (Consumer Credit Insurance, Gap Insurance and Used Car Extended Warranties) are typically sold with cars, credit cards and loans. Recent investigations by the corporate cop ASIC and Consumer Action’s insurance experts show Australians have been ripped off to the tune of at least $70m and many may not even know they’ve purchased the products. At a public protest on Wednesday March 23 Consumer Action CEO Gerard Brody sent a strong message to these companies. “Our message to these companies is simple: stop selling junk” said Brody. Consumer Action’s insurance expert David Leermakers said the problems lie in the sales tactics used and products designed to pay out very little, if at all. “When you walk into a car yard, you mightn’t know that the car trader could earn up to 90% commission for selling you some of these products. With such high and tempting commissions, do you really think the salesperson cares about the product meeting your needs or your eligibility to claim? In the worst cases, car traders or financers will slip it into your loan paperwork and rush it through so you don’t notice thousands of extra dollars” said Leermakers. 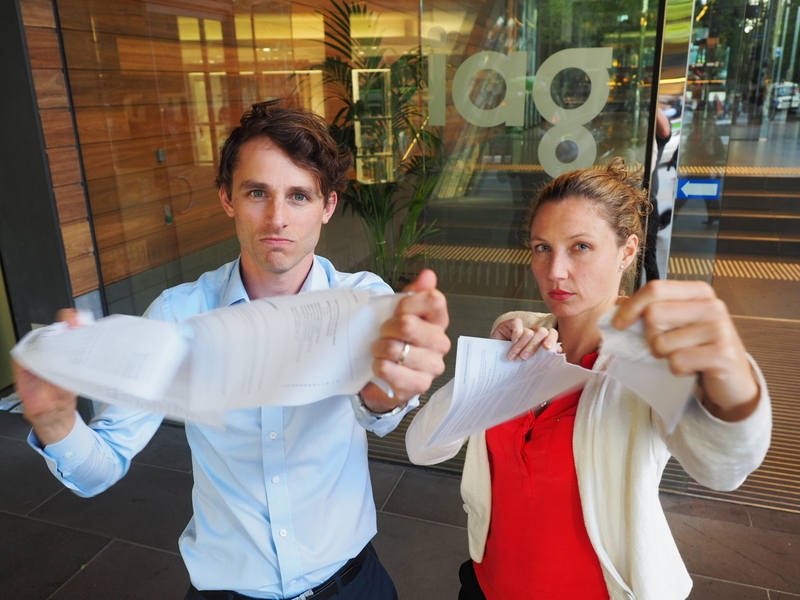 DemandARefund.com helps Australians to generate a complaint letter to demand their money back. The tool will also be used by Community Legal Centres and Financial Counsellors to help vulnerable Australians who’ve been sold junk. *$70m figure is based on Consumer Action calculations of industry and regulator data of consumers who bought consumer credit insurance without realising.